Last night some 90,000 people gathered at the MetLife stadium in East Rutherford, New Jersey for a ceremony celebrating the 12th completion of the daily reading of the Talmud (Siyum ha-Shas). The event followed similar ceremonies, in Jerusalem,Tel Aviv, Bnei Brak, London, Melbourne, and other cities and communities around the world, in which thousands more participated in person or via closed-circuit TV. Tens of thousands celebrated the conclusion of the a seven-and-a-half-year Daf Yomi cycle on August 1. The tradition was established by Rabbi Meir Shapiro, the Hasidic rebbe of Lublin. Rabbi Shapiro proposed the idea to the Agudath Israel convention in Vienna in August, 1923, and the enterprise was launched with much fanfare the following Rosh Hashanah. Over the course of the 12 cycles completed thus far, the number of learners has burgeoned to many tens of thousands around the world. What is the most fundamental verse in the Torah, the anchor upon which everything rests? Ben Zoma suggested the well known Shema Yisrael: “Hear O Israel, the Lord our God, the Lord is One” (Deuteronomy 6:4). In his view, the basic philosophical principles of Judaism found in this verse—the existence and unity of God—are most important. Ben Nanas pointed to the famous “Thou shalt love thy fellow as thyself” (Leviticus 19:18). For him, sound, sensitive interpersonal relations take priority. But there is a third proposal—one that on the surface seems much less significant than either of the other two. Shimon ben Pazi offered, “The one lamb you shall make in the morning . . . and the second lamb you shall make in the afternoon” (Numbers 28:4, 8; see R’ Jacob b. Solomon ibn Habib, Eyn Yaakov, introduction, end). How could this verse possibly be considered the most important in the Torah? Shimon ben Pazi highlights a fundamental principle. Yes, philosophical knowledge and sensitivity in interpersonal relationships are vitally significant. But perhaps even more significant is the constant discipline and focus necessary for meaningful Jewish life, “in the morning” and “in the afternoon,” every morning and every afternoon, every day, always. Like the twice-daily Temple sacrifice that serves as the context for these verses, the study of daf yomi requires an ongoing, consistent commitment, day in and day out, every single day—weekday, Shabbat, holiday, fast day—for two thousand, seven hundred and eleven days in a row. On August 2 one cycle ends. On August 3 another cycle begins. And so may it be, forever. 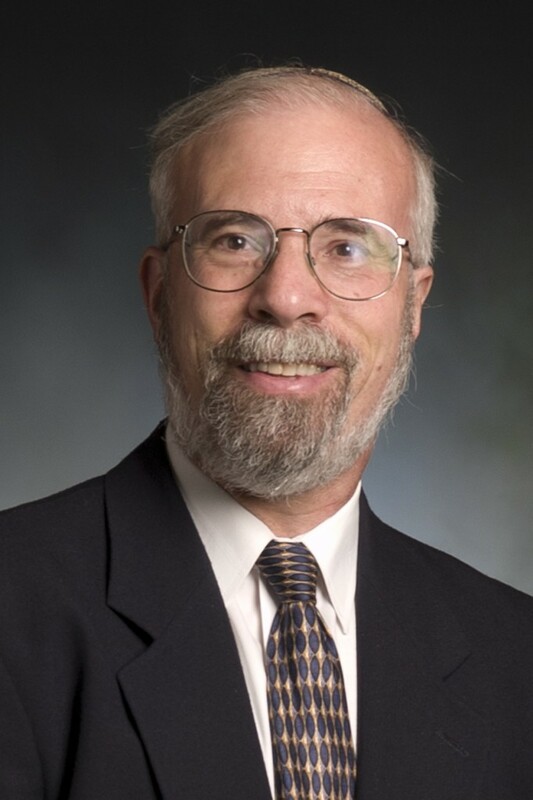 Rabbi Dr. Jacob J. Schacter is University Professor of Jewish History and Jewish Thought and Senior Scholar at the Center for the Jewish Future at Yeshiva University. 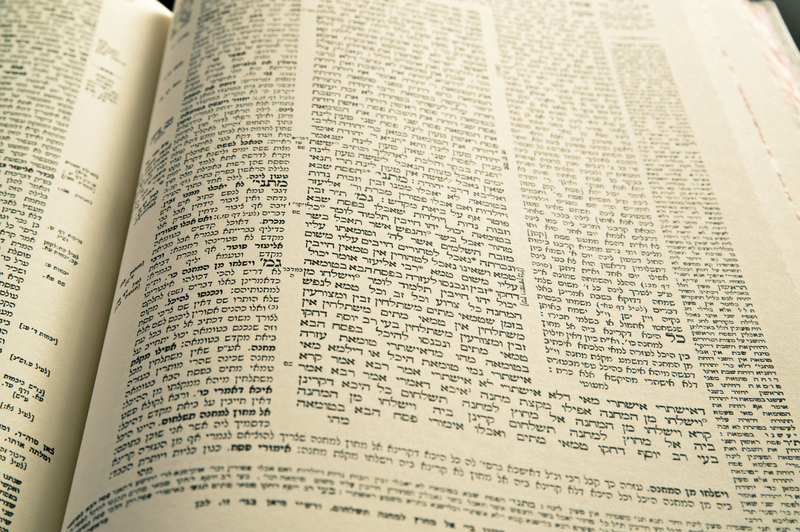 The contemporary preoccupation with Talmud has rendered the phrase talmud Torah (literally, Torah study, referring principally to the Bible), almost an oxymoron. Up to the early modern period, knowledge of Bible was generally regarded as an indispensable tile in the mosaic of a learned Jew. Until the last century it was invariably the great Talmudist and halakhists who were themselves the biblical exegetes. (Rashi, Nahmanides and the Gaon of Vilna come readily to mind.) In the modern era, however, and the 20th century in particular, the scope of traditional erudition has contracted to include little more than the proverbial “four cubits” of halakhah and very few rabbinic giants have devoted themselves to the explication of the Bible. Indeed, it is questionable whether—with significant exceptions—they would even acknowledge a thorough knowledge of Bible as a desideratum, let alone a prerequisite, for recognition as a talmid hakham (scholar). 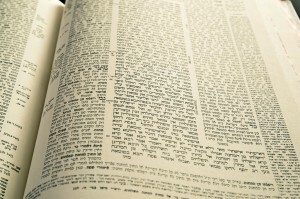 The current proliferation of sermonic anthologies on the weekly Torah portion (parashat ha-shavua), some by outstanding talmudic scholars, should not be mistaken for a renewed interest in Bible, for nearly all betray the telltale mark of amateurism: the lack of system and technique. When asked to assess the highly eclectic ArtScroll Torah commentary, Nehama Leibowitz (1905-1997) was wont to say that it was fatuous to compare Rashi, who invested a lifetime in developing a method of Torah study, to the Czypiznocker Rebbe (a figment of her dexterous literary imagination), who once revealed an insight into Torah during shalashudos (the Shabbat afternoon meal). Just as a bride is bedecked with 24 jewels and if even a single one is missing she is naught, so must a scholar be familiar with all 24 [biblical] books and if even a single one is missing he is naught. Dr. Moshe Sokolow is the Fanya Gottesfeld-Heller Professor of Jewish Education and associate dean at YU’s Azrieli Graduate School Jewish Education and Administration. Reprinted with permission from Jewish Ideas Daily. I simply want to mention I am just beginner to blogging and site-building and honestly enjoyed this web blog. Likely I’m likely to bookmark your blog . You really come with fabulous well written articles. Cheers for revealing your web-site. I simply want to tell you that I am very new to blogging and site-building and seriously loved you’re web-site. Likely I’m planning to bookmark your blog post . You really have really good article content. Thanks for sharing with us your web page. I just want to mention I am new to blogs and honestly loved this page. Probably I’m planning to bookmark your blog . You absolutely have excellent stories. Thanks a lot for sharing with us your webpage. I simply want to say I am just new to blogging and honestly savored your web blog. Most likely I’m going to bookmark your website . You absolutely come with awesome stories. Thank you for sharing your blog site. I simply want to tell you that I’m beginner to blogging and seriously enjoyed you’re web blog. Likely I’m going to bookmark your blog . You actually come with great articles. Thanks for sharing with us your web-site. I just want to tell you that I am all new to blogs and actually savored your web-site. Almost certainly I’m want to bookmark your site . You really have fabulous well written articles. Kudos for sharing your website. I simply want to tell you that I’m new to blogging and definitely liked this web page. Very likely I’m going to bookmark your website . You amazingly have fantastic article content. Thanks a lot for sharing your blog site. I simply want to say I’m newbie to blogging and definitely loved this web page. Probably I’m likely to bookmark your blog post . You amazingly come with good article content. Kudos for sharing your webpage. I just want to mention I am just very new to blogging and actually liked you’re web blog. Almost certainly I’m planning to bookmark your site . You really have exceptional stories. Appreciate it for revealing your webpage. I simply want to tell you that I am just beginner to blogging and really savored this page. Most likely I’m want to bookmark your blog post . You absolutely come with great article content. Thanks a lot for sharing your webpage. I simply want to mention I am just very new to blogs and seriously savored your blog site. Almost certainly I’m want to bookmark your blog post . You absolutely come with fabulous article content. Kudos for sharing with us your website page. I just want to tell you that I am just very new to blogging and definitely savored this blog. Very likely I’m planning to bookmark your blog post . You actually come with awesome articles and reviews. Thanks a bunch for sharing with us your webpage. I just want to tell you that I am just new to weblog and seriously savored you’re web-site. More than likely I’m want to bookmark your site . You actually have incredible writings. Kudos for revealing your blog.